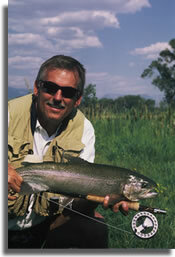 Jon Cave’s Fly Fishing School is one of the premier programs in the country. It’s designed to take both beginning and experienced anglers from the fundamentals of flycasting to the most advanced techniques. Class size is limited and instruction is customized to each student’s abilities and needs. Consequently, anglers of all skill levels will benefit from the intensive curriculum, regardless of whether they’re making their first cast or just in need of a tune-up. Thousands of students have taken these same schools including many fly fishing instructors, fly shop owners, and professional fishing guides in the U.S., Belize, Mexico, Costa Rica, and the Bahamas. 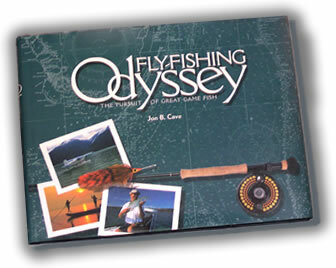 Jon’s unique and straight-forward teaching method includes fly fishing demonstrations and discussions, but centers around student participation. A variety of hands-on exercises will help you sharpen your skills as you increase your knowledge in a fun and relaxed environment. Topics covered in the fly fishing schools include knots, leader construction, tackle and gear, various casting strokes, distance casting and casting accuracy. Furthermore, the course reviews in-depth tactics, strategies, and techniques used to target various species of fish in both fresh and salt waters. 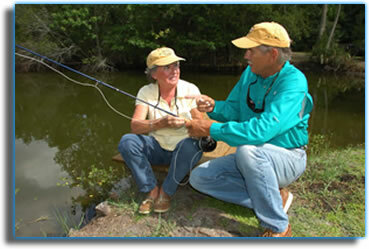 Fly fishing schools are conducted at a number of different international and domestic locales including Jon’s private facility with fly casting pond in Oviedo, Florida. Click on the reel of the fly fishing school that might interest you or scroll the page. Thank you for looking at our fly fishing school's page. 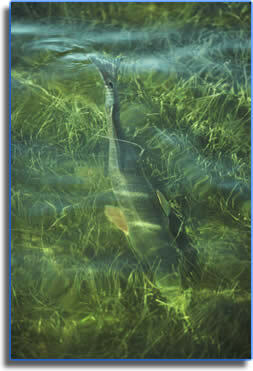 Fly fishing is often referred to as "the peak of the angler's art." This comprehensive and stimulating one-day course is designed to take both beginning and highly experienced anglers from the fundamentals of fly casting to the most advanced techniques. This is definitely not just a beginner's class. Because class size is limited, Jon customizes the instruction for each student based on their individual experience, ability, and needs. Consequently, individuals of all skill levels will benefit regardless of whether they're making their first cast or just in need of a little tune-up. Topics covered include the various casting strokes, tackle selection, distance casting, casting with accuracy, equipment, knots, and leader construction. Furthermore, the course reviews in-depth tactics, strategies, and techniques used to fly fish for top gamefish in fresh and salt waters. For an additional fee, students can hire a USCG licensed fly fishing guide to test their skills in the world class fisheries of Mosquito Lagoon, Indian River, or the St. Johns River. 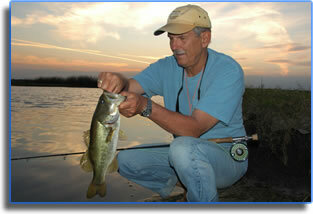 Small Group Fly Fishing Classes are now forming, call or e-mail if you need to set up a short notice class. Call or email for dates of upcoming classes. Each student actively participates in class through patient hands-on experience, open discussion, and problem solving. Jon’s unique and easy-to-understand instruction includes lectures, demonstrations, visual aids and practice. All classes are conducted at a private casting pond where each student is afforded time to test their new skills for bass and bream at the completion of class. Continental breakfast, lunch, and drinks are provided. Enrollment fee is $225 per student for the complete class. A $100 non-refundable (except for inclement weather) deposit is required to assure a spot. Balance is due on day of class. On the following day, students can opt to test their skills and receive additional instruction during a guided trip to one of the area’s world-class salt- or fresh-water fisheries. Enroll early as class size is limited and openings always fill quickly. 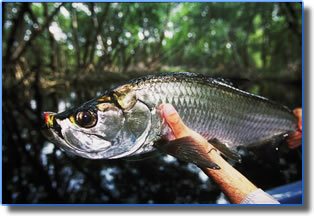 Fly fishing in saltwater may be the most exciting and challenging of all angling experiences. This school is designed to educate fly fishers in specialized tactics that are unique to various marine environments including flats, offshore, and inshore waters. Students learn specialized saltwater casting techniques and practice under conditions that simulate real-life situations. Students also learn the knots needed to create a variety of saltwater leaders. Additionally, the habitats, favorite prey, and seasonal migratory habits of the most popular flats, offshore, and inshore species will be discussed along with the methods and flies used to catch them. Class size is extremely limited to insure that all students receive maximum attention. This comprehensive class is designed to build strong fly fishing abilities that instill confidence and inspire individuals to pursue their favorite saltwater gamefish. For an additional fee, students can hire a USCG licensed fly fishing guide to test their skills against redfish, seatrout, and a variety of other gamefish that inhabit the shallow flats of Mosquito Lagoon and the Indian River. The largemouth bass's a ggressive nature, toughness, and widespread distribution have made it the most popular game fish in America. This entertaining and exciting school provides students with an in-depth study of the strategies needed to consistently catch bass as well as bream. In addition to developing a strong casting technique, students learn about the best flies, leaders, and lines for bass and bream as well as how to read water for the most productive areas. The material covers everything a fly fisher needs to know about bass, bream--and more. As an added feature, this course includes a 1/2 day charter with a knowledgeable licensed fly fishing guide so that students can use newly acquired skills on the pristine waters of the St. Johns River Basin where catching bass and bream on a fly is as close to a sure thing as there is. Allow us introduce you and your employees to the highly challenging and rewarding world of fly fishing. The skills they learn will instill confidence and provide a lifetime of angling excitement. The fly fishing experience is a natural team building activity and one your group will enjoy and remember. Offering fly fishing classes makes a statement about a company's values and philosophy. Learning to fly fish is an outdoor activity that is conservation minded, and as a plus, it's great fun! One- and two-day fly fishing classes are available at our facility or yours. Fly Fishing Schools can also be combined with chartered fly fishing trips. Contact us for more information and to discuss your goals and how we might meet your needs. One-on-one fly fishing and fly casting lessons with Jon. Hourly, half-day and full-day instruction; or combine a half-day of instruction with a half-day of chartered fly fishing. Jon's expertise as one of fly fishing's premier fly casting and fishing instructors spans the spectrum from introducing beginning fly casters to the sport to fine tuning an expert fly caster to achieve the next level of excellence. Contact us for more information. Fly fishing outfit (rod, reel, line, and leader). We have loaner tackle available to those individuals who don't have their own. Contact us if you need advice on choosing an appropriate outfit or if you'd like to purchase quality equipment at a reasonable cost prior to the beginning of class. Students are also encouraged to bring paper, pencil, hat, polarized sunglasses, insect repellant, sunscreen, rain gear, deck shoes (absolutely no black-soled athletic shoes or street shoes are allowed aboard any boats). Enroll early as class size is limited and openings fill quickly. Students will receive a confirmation and map by return mail or email (if their email address is provided).